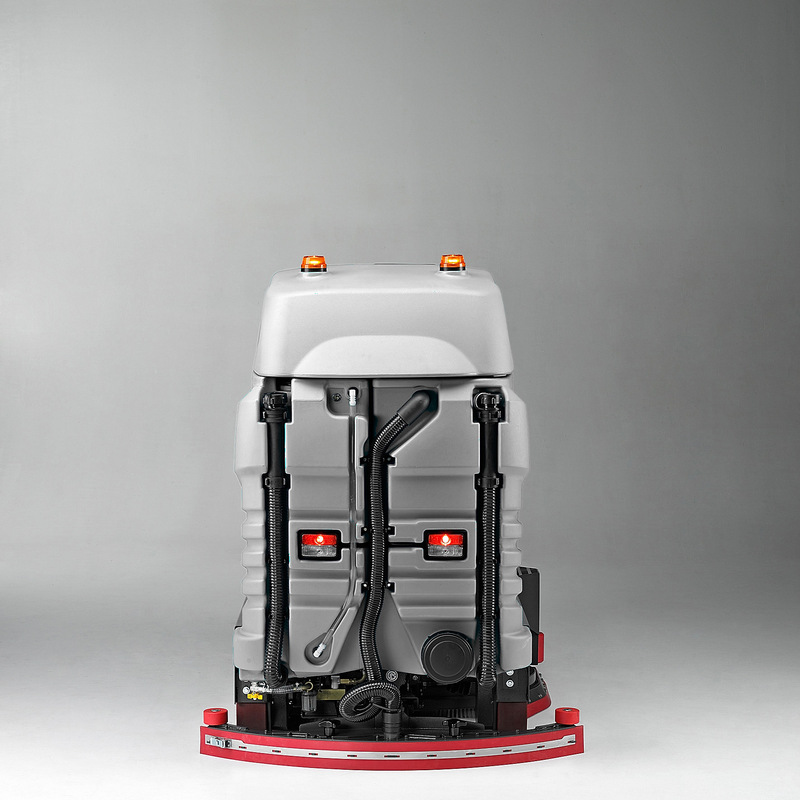 The heavy-duty M1100 D is a ride on auto-scrubber that delivers an outstanding performance in any environment. 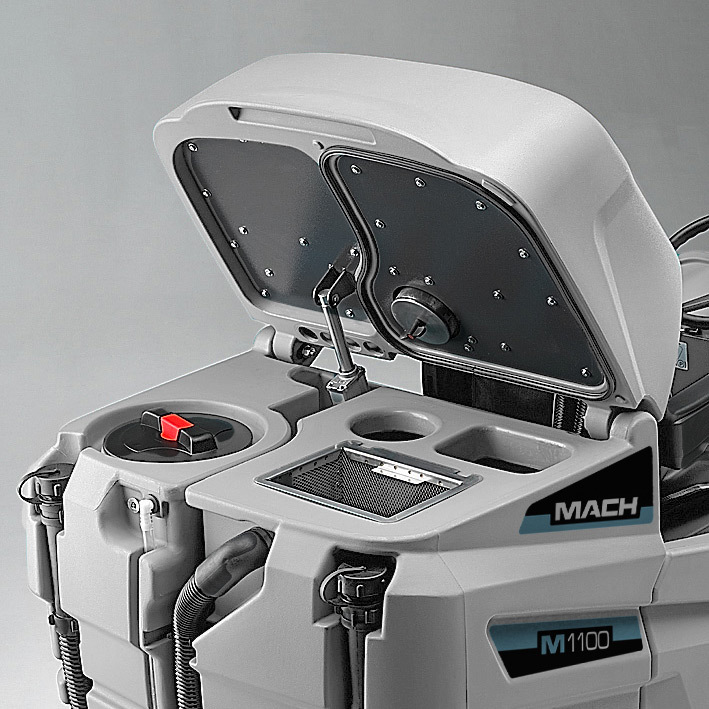 Equipped with the innovative MACH ECOsystem®, the M1100 D recycles water and chemical during operation, boosting cleaning capacity up to three times. Perfect results in a single pass. Combing technology and power to achieve the best cleaning results. The heavy-duty M1100 D is designed to perform in the toughest environments, reinforced with top quality materials to ensure reliability and robustness. 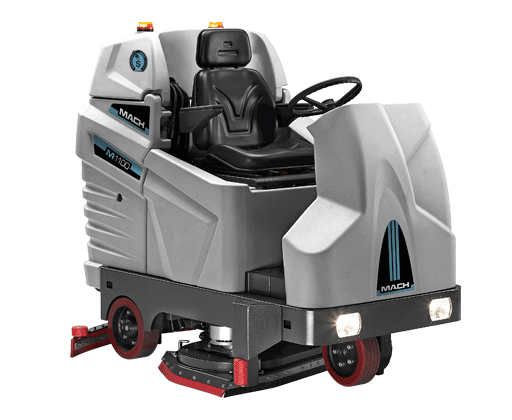 With a cleaning path of 110 cm / 42 in and a top speed of 8 km/h or 5 mph, it has an impressive cleaning capacity of 8,875 m²/hour or 95,500 ft²/hour. 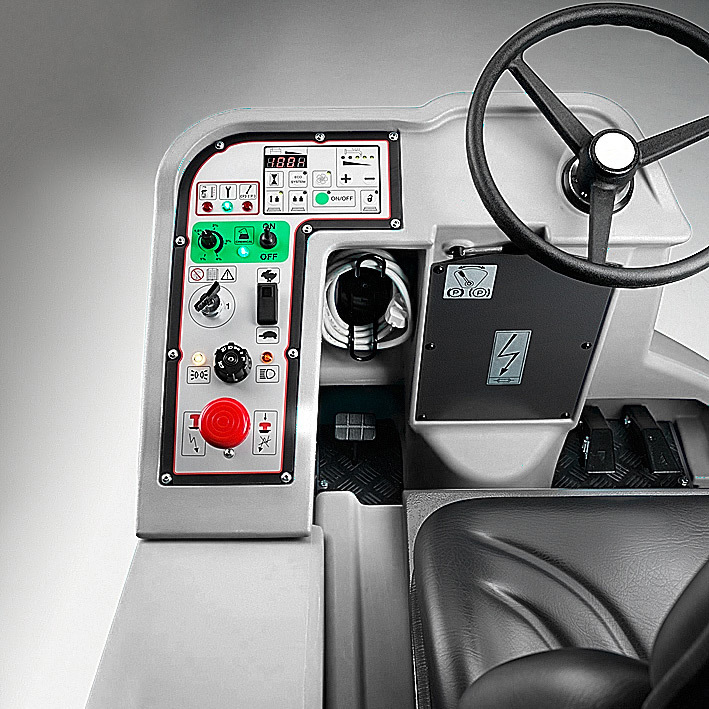 Designed to be versatile in both compact spaces and large areas, the M1100 D delivers customized solutions for diverse requirements, guaranteeing maximum productivity and incredible results. 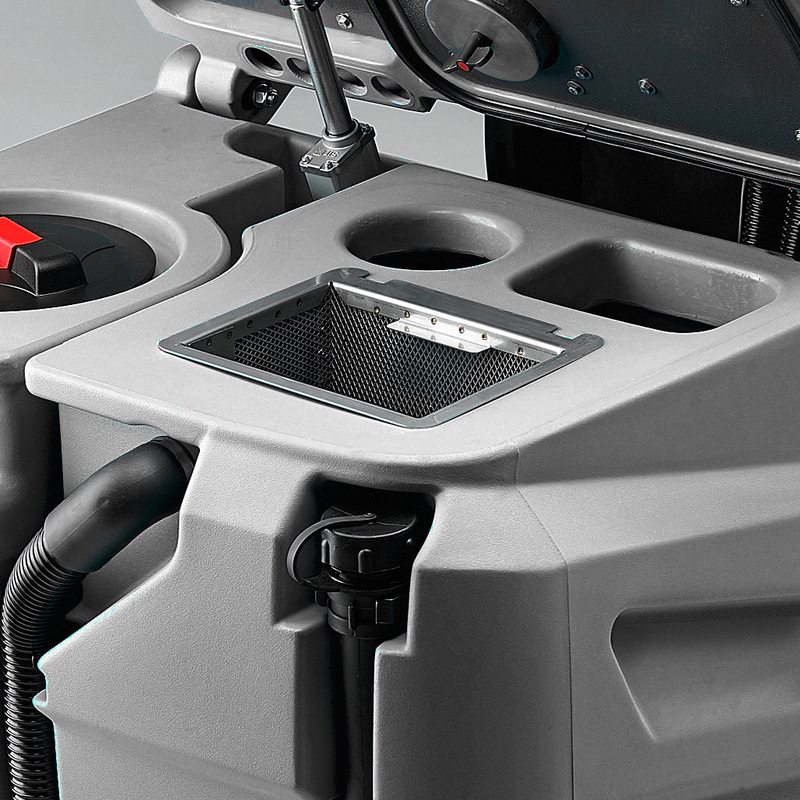 The M1100 D is designed with innovative features that make cleaning faster, easier and more efficient. The high capacity 220-litre / 58 gallon solution tank provides extensive uptime, which can be boosted up to three times with the innovative ECOsystem®. This patented technology recycles water and chemical, maximizing productivity and reducing both the cost and environmental impact of cleaning. 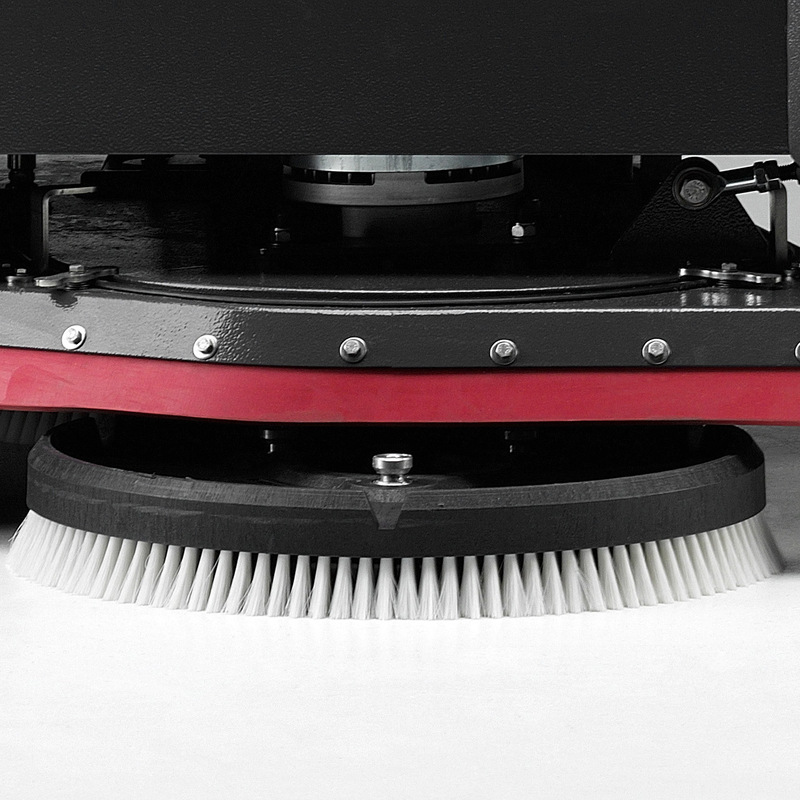 The high performance drying system includes a powerful vacuum motor and a stainless steel parabolic squeegee, which can be adjusted to floor type. 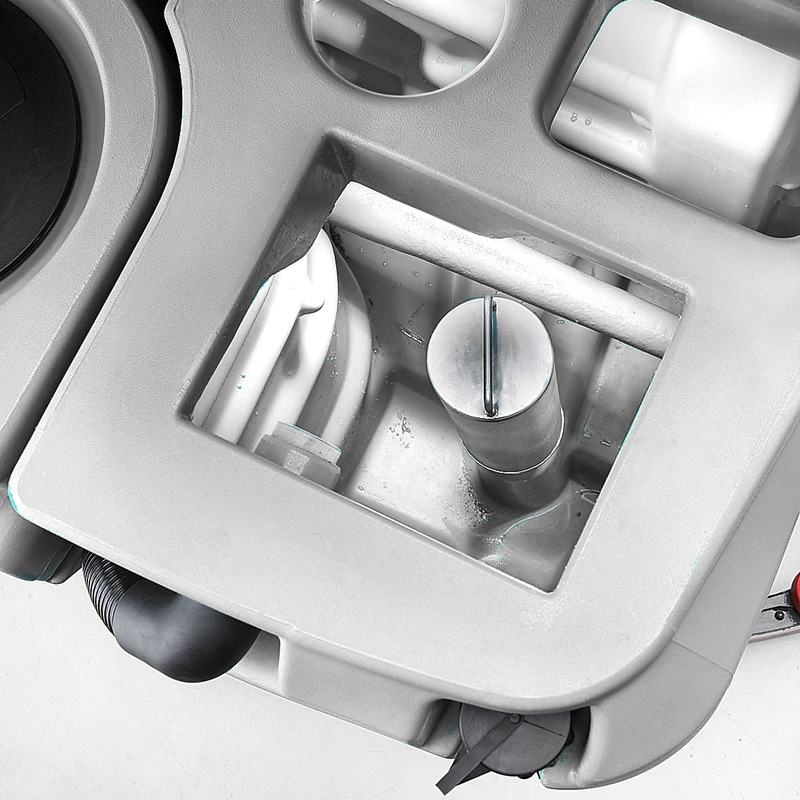 Maximum cleaning power that delivers perfect results in a single pass. 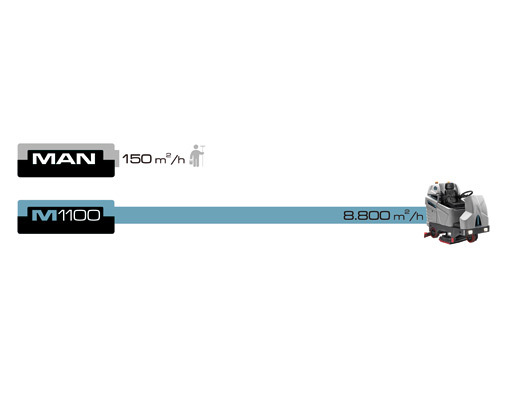 Extended running time with a high capacity 220 L / 58 gal solution tank, reducing downtime and maximizing productivity. 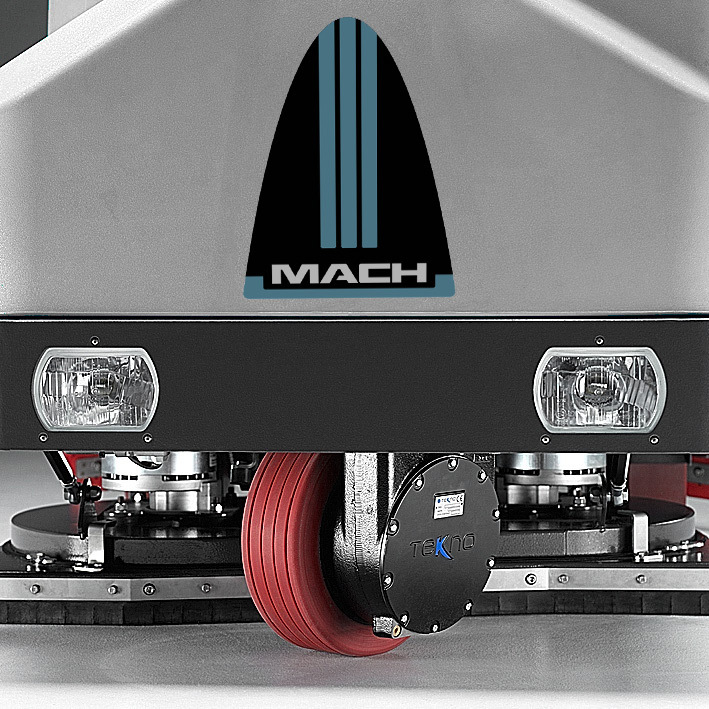 Boost capacity up to three times with the MACH ECOsystem®. Equipped with reinforcements to withstand impact and endure tough environments. Use up to 50% less chemical, saving money and improving productivity. Immediately adjust the composition of the solution and eliminate operator contact with chemicals. 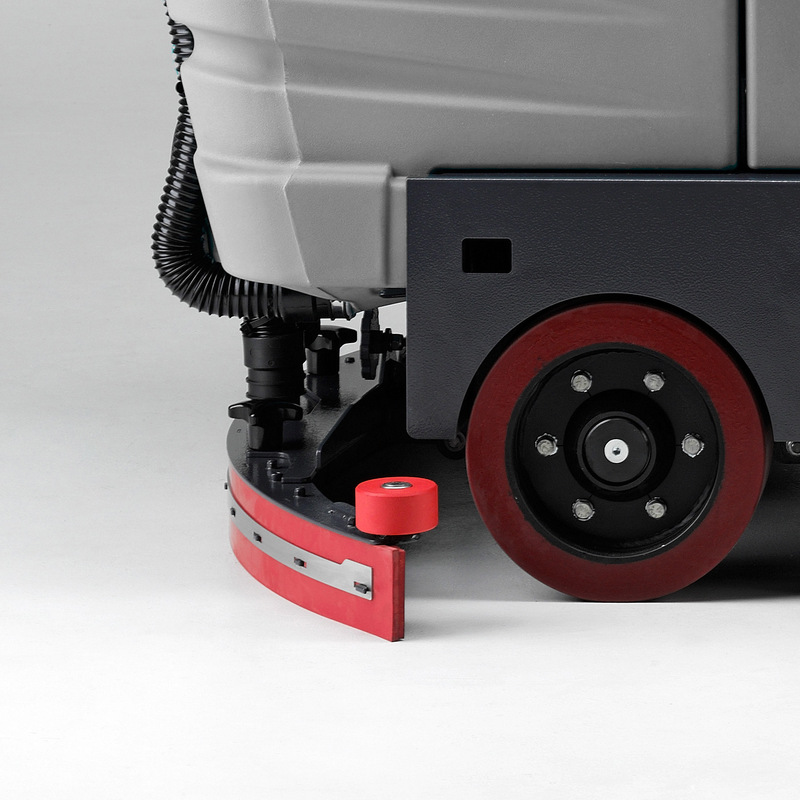 The powerful vacuum motor and adjustable parabolic squeegee ensure maximum water and dirt removal pickup guaranteeing a clean, dry floor that is ready for traffic. Multi-function control panel, equipped with easy one-touch controls and a quick start button simplifying operation by activating scrubbing systems with a single button. Eliminates side splash and encloses solution inside the brush for a more precise clean, the floating mechanism protects the splashguard against wear and allows adjustment to the surface. 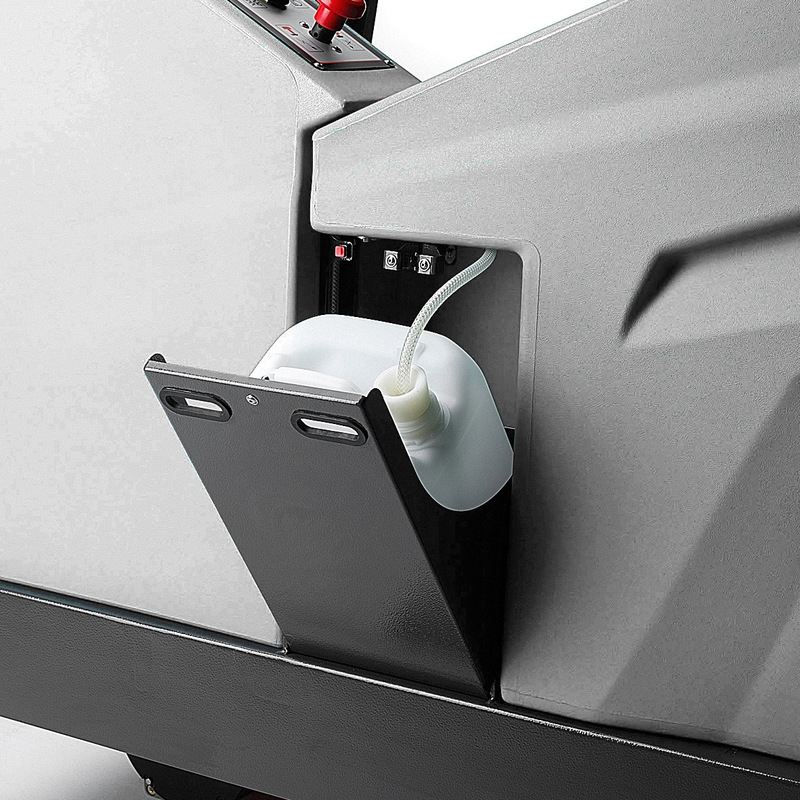 Full access to the recovery tank ensures easy cleaning and maintenance for complete tank hygiene. The recovery tank is equipped with a stainless steel basket that collects debris, making maintenance easy and preventing potential clogging of the system. The flexible drain hose controls water flow for easy recovery tank emptying.